The base manual 2018 Mazda 6. “At Mazda we are always listening to our fans, especially when it comes to what they are looking for from our vehicles,” the spokesperson told Jalopnik via email. “As we have moved the Mazda6 upscale with the launch of the Grand Touring Reserve and Signature models, we have seen less demand for a manual transmission option. The spokesperson said Mazda will continue to listen to customers, and that if “their desires should change in future,” the company will respond accordingly. Jalopnik asked Mazda for confirmation on whether this only affects the U.S. or North American markets for 2019, and will update this story if we hear back. It’s a sad but logical move to axe the manual transmission on the car, given that both sedans and manuals aren’t doing too well in terms of new-car sales in the U.S.—crossovers, SUVs and transmissions that do the shifting themselves are what people want. 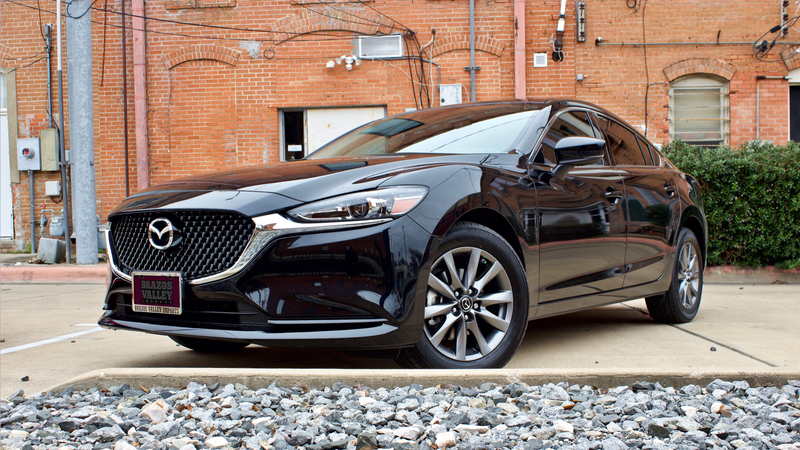 The outgoing base Mazda 6 with a manual was a good car at a steal of an MSRP off of the lot, though, even compared to one of its highest-priced, turbocharged superiors. But good cars don’t always equal good sales numbers, no matter how much they should, which is why we’re often left to search for them on the used market. See you there, manual Mazda 6. Update: Thursday, March 28, 2019 at 2:58 p.m. ET: In response to Jalopnik’s question about where all the manual Mazda 6 is dead, a Mazda spokesperson said it’ll stick around elsewhere. This decision was made “solely for the U.S. market,” they said.